Supersprox's Stealth sprocket is the perfect combination of weight savings and longevity. 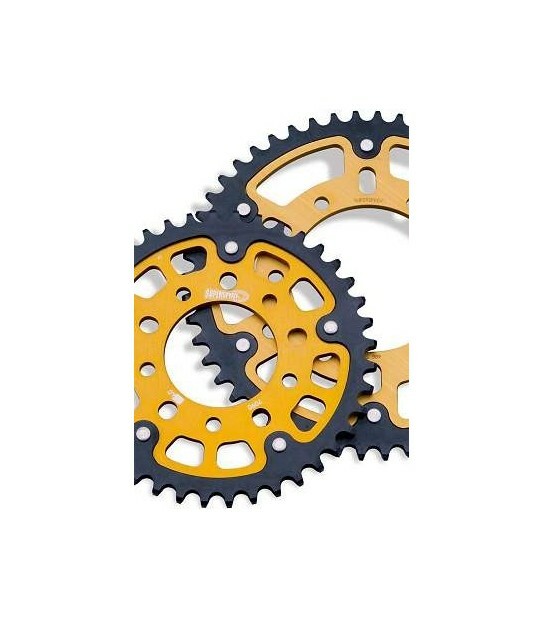 The inner part of the sprocket is made of aluinum to drop a little weight, while the outer ring is made of steel to ensure your sprocket teeth last a long time! Available In stock sizes & colors. ***Some sizes/colors may only be available as a custom size. Custom sizes are $109.95.